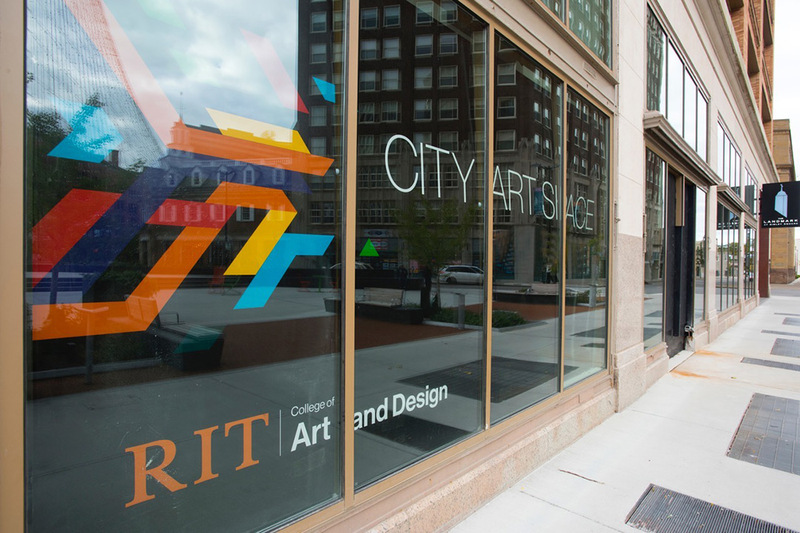 RIT City Art Space, the College of Art and Design’s new first-floor gallery and community event venue inside Sibley Square at Liberty Pole Plaza in downtown Rochester, opens its doors to the public on Friday. RIT City Art Space—the College of Art and Design’s new first-floor gallery and community event venue inside Sibley Square at Liberty Pole Plaza in downtown Rochester—opens its doors to the public on Friday, Dec. 7, with an exhibition featuring two of the university’s creative titans. As part of the “Faculty in Focus” series, RIT City Art Space will present the work of RIT professors and lifelong artists Willie Osterman and Leonard Urso. 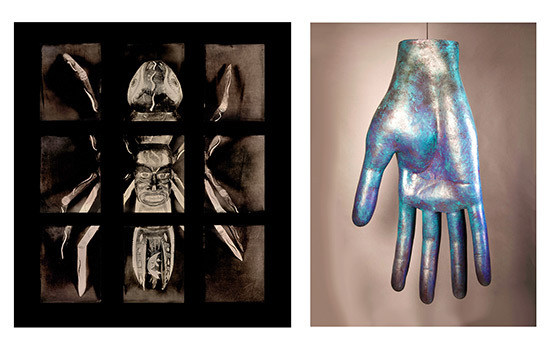 Osterman teaches fine art photography in the School of Photographic Arts and Sciences, and Urso is a professor of metals and jewelry design in the Schools of Art and American Crafts. Osterman has been teaching, researching and working as an active artist since 1984. He received a Bachelor of Fine Arts degree in photography with a minor in art history from Ohio University, and a Master of Fine Arts degree in visual design and photography from the University of Oregon. He worked for Alan Ross and the late Ansel Adams as a printing assistant in the production of the Ansel Adams Special Edition Prints in Carmel, Calif. His publication DeÌ?jaÌ? View: A Cultural Re-Photographic Survey of Bologna, Italy, in its second edition, is now out of print. In 2009, Osterman received a Fulbright Scholars Award to develop the first master’s degree program of photography in Croatia at the Academy of the Dramatic Arts, University of Zagreb, Croatia. He also has worked as a contract photographer for the Eastman Kodak Co. and appeared in the 2017 documentary Photo City, which chronicles the history and lives of Rochester’s photographic and creative community. His work is exhibited internationally and can be seen in numerous collections, including The Museum of Contemporary Photography, Chicago; University of New Mexico Museum of Art, Albuquerque; The George Eastman Museum in Rochester; New Orleans Museum of Art; Portland Museum of Art; Lotus Collection, Salzburg, Austria; Museo della Fotografia Cinisell Balsamo, Milan, Italy; Museo Civico del Risorgimento, Bologna, Italy; Alinari Photographic Archive, Florence, Italy; Muej Grada Zagreba (City Art Museum of Zagreb), Croatia. Urso is the Ann Mowris Mulligan Distinguished Professor in RIT’s School for American Crafts, a position he has held since 1993. A native of Rome, N.Y., his pursuit of art began when he was a young man and eventually led him to study at the State University of New York College at New Paltz. After graduating with a Master of Fine Arts degree, Urso began his professional career as a designer and silversmith for Oneida Ltd. Silversmiths. His work has recently been featured in the collections of the Los Angeles-based lifestyle brand Simon Miller, where Urso’s painting and sculpture serve as inspiration for their fashion collections. He recently created a jewelry collection based on his elemental human forms for the brand, receiving praise from publications such as Ssense, Pret-a-Reporter and Vogue. Urso’s studio is located in Rochester, where he creates large- and small-scale sculptures and paintings. His work is exhibited nationally and internationally and is part of several museum, corporate and private collections, including the Gyeongnam Art Museum of South Korea; the Art Institute of Chicago; the Memorial Art Gallery in Rochester; Shanghai University; Kanazawa University; The New York Times; Bucknell University; The Times Mirror Co.; Humana Inc.; Bausch & Lomb (now Valeant Pharmaceuticals) world headquarters; Colgate University; RIT; Garth Fagan Dance; Sybron Corp.; Robert Mondavi Winery; and The Washington Post. The college’s “Faculty in Focus” series is a platform to feature more extensive projects by one or more faculty members, and to engage with an extended community of artists, art lovers and educators through their creative work. For more information on this exhibition or RIT City Art Space, contact AaÌ?sp at john.aasp@rit.edu or go to cityartspace.rit.edu. "Intersections: The RIT Podcast" is a twice-monthly conversation between people whose daily work is making a difference in the world. In this episode, Robin Cass, interim dean of the College of Art and Design, and John Aäsp , gallery director, discuss how RIT City Art Space in downtown Rochester will invite the public to engage with the university through culture and creativity. Works by Willie Osterman (Masking Portrait #182, tintypes, 2018, right) and Leonard Urso (Pendulum, copper, 2012) will be featured as part of ‘Emergence,’ an exhibition marking the debut of the new RIT City Art Space in downtown Rochester.